Weighing only less than 2 pounds, the Texsport 14215 is one of the easiest outdoor heaters to carry around. It’s ideal for an overnight camping trip if you’re by yourself or with a partner. But is it worth it? 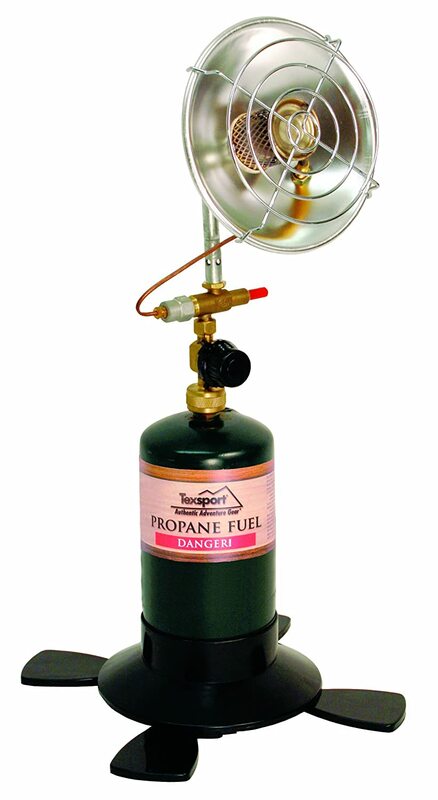 How did this mini outdoor propane tank-top heater fare among previous buyers? 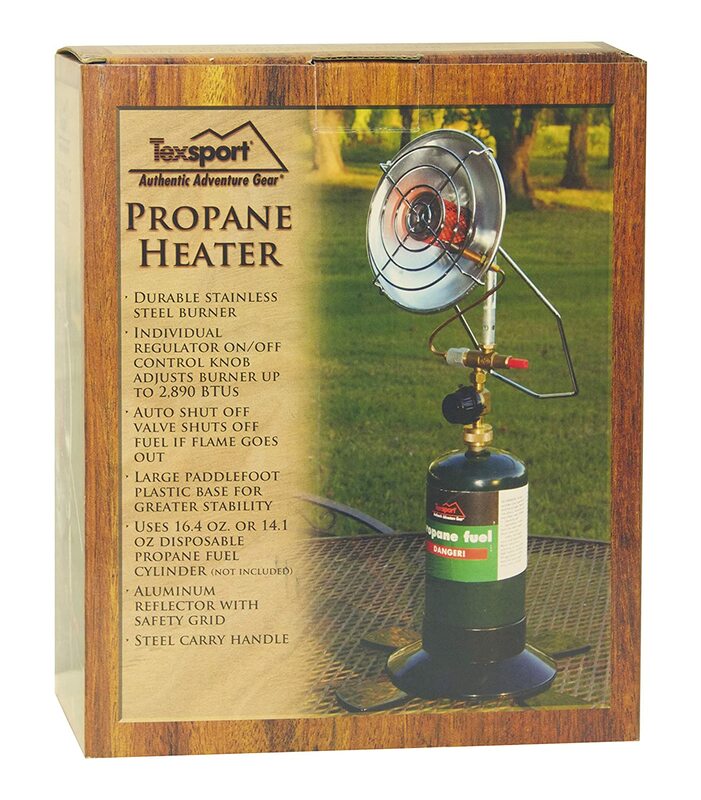 We give you an answer in this Texsport portable outdoor propane heater review. Here’s what you need to know about this propane heater’s features. – Material. The reflector is made of stainless steel, and the grid is nickel palted. The paddlefoot base is made of durable plastic. – Heat Output. The Texsport 14215 is a single-burner portable outdoor heater that can produce up to 2,890 BTUs. The heat output can be adjusted by a control knob. – Country of Origin. As advertised, this unit is manufactured in Canada. If you’re looking for a non-China made tank top heater, then this is one of them. – Base. It comes with a large paddlefoot plastic base to give the heater and the tank that much-needed stability. – Safety. There’s a safety valve that automatically shuts the unit off when the flame goes out. Here’s a summary of what previous buyers have said about this outdoor tank-top heater. – Coverage Area. As advertised, this propane heater can put out 2,890 BTUs, which isn’t as high as its larger counterparts. That said, the Texsport 14215 is not intended for a large area. For instance, it wouldn’t be enough to heat up a 10 x 10 ft open tent. Although some people say they use this heater inside their tent to effectively keep them warm at night, it’s not advisable to do so. The manual clearly states that the Texsport 14215 should never be used in an enclosed space. – Noise. It makes a little humming sound, but overall, it’s quiet. – Uses. The Texsport 14215 is so portable it serves a variety of purposes such as the following: deer hunting, ice fishing, in a golf cart, beside a ground blind. – Ease of Use. 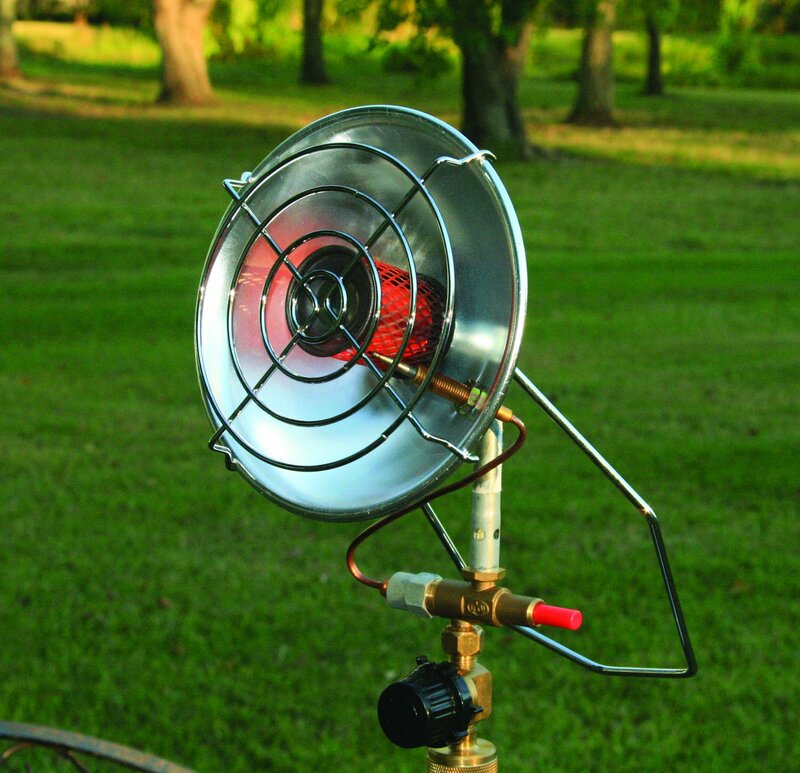 The general feedback is that this propane heater is simple and easy to use. – Limitations. Unfortunately, unlike the Mr. Heater F242540, the head is fixed to face only one direction. If you want heat to radiate to another direction, you’ll have to move or turn the whole unit. Two, it’s not a matchless ignition. You have to have a match. The Texsport 14215 does what it promises to do. As a portable, mini tank-top outdoor heater, it puts out a great amount of heat. It helps warm you up when you go deer hunting, ice fishing, or camping. It’s easy to use, and it’s quiet.